Continuing low milk prices are putting real pressure on farm cash flow with fertiliser and contractor bills to be paid, in addition to the day to day running costs. 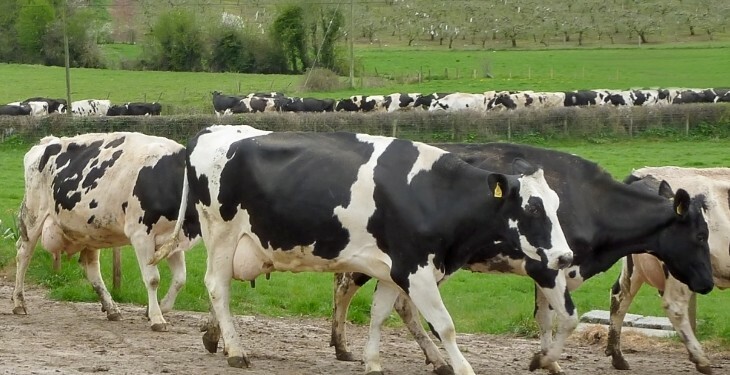 It is important that a dairy farmer should look very carefully at the cash needed on a month by month basis to maintain the business operating efficiently through this difficult period. There have been difficult trading conditions in the past and dairy farmers need to be in control through effective financial planning. The key is to ‘ride the storm’ and experienced farmers are well aware of the need to steer a steady path. The first step is to gain control. Prepare a monthly estimate of projected income and costs over the next six months which will go some way to get a handle on the financial situation on the farm. Keep it simple – what are you selling, milk, culls, calves and what are you going to spend? Use last years VAT account to estimate this and then make adjustments. This is a cash flow – money in against money out. The main costs through the summer months will be fertiliser, contractor and concentrate bills. Taking action now to find the cash for these bills to avoid making “knee jerk” decisions. Reducing feed costs must be a priority in the short term. Concentrate cost is the highest daily variable cost for milk production. It makes economic sense to maximise the amount of grass in the cows diet. 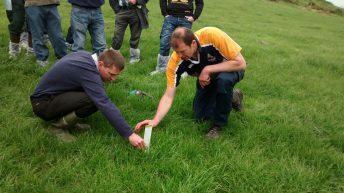 Grass is only 20–25% of the cost of concentrate and well managed grass can produce 15-18L/cow/day during the summer months. Do not be tempted to reduce fertiliser input to lower fertiliser bills, spend £1 to earn £2+ is good business sense. Offering cows a twice daily supply of high quality grass is a must in reducing feed costs. Keep a check on feed efficiency and monitor yields from forage on a weekly basis. 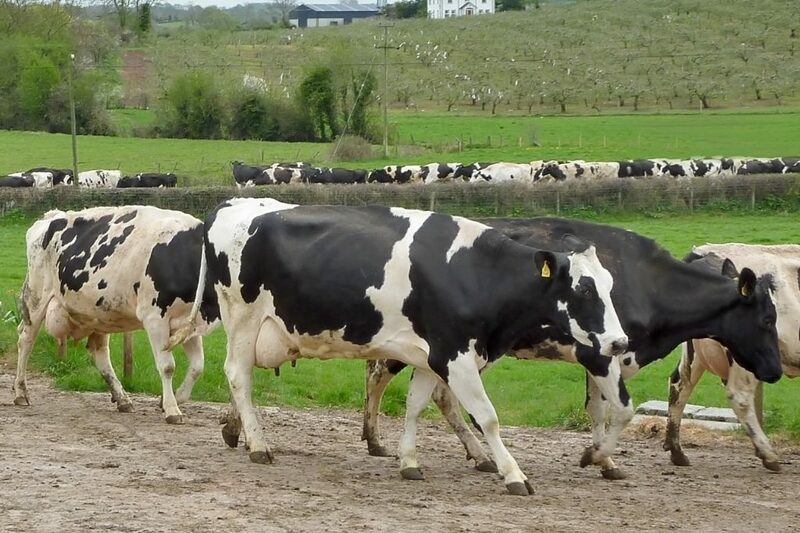 The local College of Agriculture, Food and Rural Enterprise (CAFRE) Dairy Development Adviser can assist with the calculation of milk from forage and advise how to improve milk output and quality as competitively as possible. Talk to your bank manager at an early stage and using a forward cash flow, arrange a suitable overdraft facility to best meet the needs of the farm business. This may involve restructuring existing loan repayments. Phasing payments for feed and fertiliser may be arranged with the merchant. Discussion and arrangements to avoid any potential problems with the payments is always better than the stress of non payment at some time in the future. Additional cash can be generated from the sale of cull cows. Select problem cows with mastitis issues and/or those with persistently high Somatic Cell Count. It is important not to sell productive cows as they are essential to keep a consistent milk volume and maintain milk sales. There is no room for sentiment or passengers when deciding on what cows to sell. Look carefully at the young stock currently carried. If the farm is overstocked in terms of either grazing or nitrates, consider the sale of any store cattle or surplus dairy heifers. Be careful to maximise their income potential by ensuring stock are sold at their best weight and age. If cash flow is restricted defer the purchase of machinery and other capital works until milk price improves. There is absolutely no sense in adding to the financial burden in the short term. Time enough to stride ahead when milk production is once again a more profitable business. Although a sensitive issue on farms, it is imperative that the farmer ensures the family is aware of the current financial constraints. The family will be supportive in helping to plan household expenditure. Talk the situation over with family and use professional advice whether from the bank manager, accountant or dairy adviser. Remember low milk prices are impacting upon the whole industry and is being felt by your local rural community. In the coming months keep a close check on the cash flow and take action where needed. Contact your local CAFRE Dairy Development Adviser to discuss herd management and any cash flow concerns you may have. By Olwen Gormley, Senior Dairy Development Adviser, CAFRE Omagh. 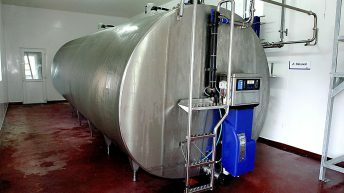 Who is eligible for new Dairy Equipment Scheme?